Is photography permitted in the galleries? Unless otherwise indicated, still photography without flash is permitted only for private, non-commercial use. The MHCAM does not hold copyright for many of the objects on view. Visitors are responsible for determining if the use of the image(s) they take in at MHCAM may be subject to copyright infringement. Is filming permitted in the galleries? Special authorization by Museum staff is required for the use of a tripod, video, or movie equipment. Please see a gallery guard for more information. Is sketching allowed in the galleries? Pencils may be used for note-taking or sketching. The use of ballpoint pens, ink, markers, fountain pens, or watercolors is not permitted in the galleries. 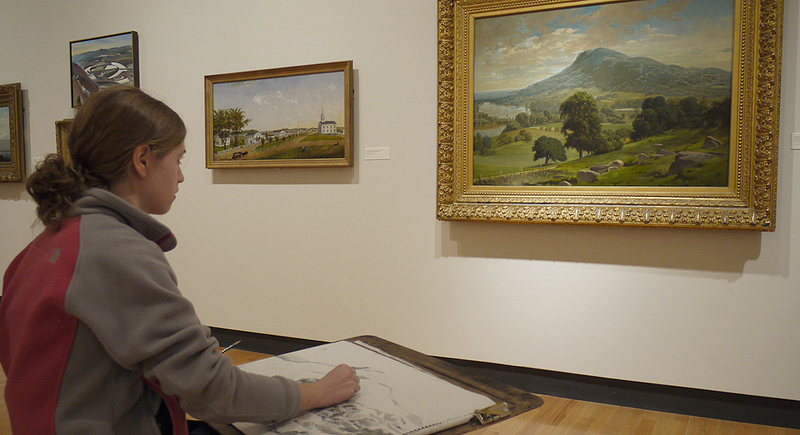 Special authorization by Museum staff is required for the use of crayon, pastel, or charcoal. Are large backpacks, luggage, and umbrellas allowed? Please place backpacks, large bags, and umbrellas in the lockers adjacent to the museum lobby. Coats may be worn, not carried, into the galleries or can be hung near the lockers. Can I bring refreshments into the gallery? Food and drinks (including water bottles) are not allowed inside the museum. Are service animals permitted in the galleries? Service animals are allowed in the museum.